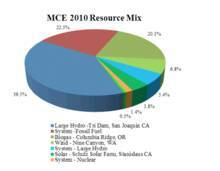 In 2010, Marin Clean Energy (MCE) launched California’s first Community Choice Aggregation (CCA) program, which by law allows cities and counties to aggregate the buying power of individual customers to secure alternative energy supply contracts. This program was hard won after a long struggle with PG&E that came to a head in a state initiative (Prop 16, which was defeated). The CCA program, Marin Energy Authority (MEA), aims to help Marin more quickly advance its renewable electricity goals. Marin County's CCA gives customers an alternative to the local investor owned utility’s (PG&E’s) electricity, which is principally sourced from nuclear and natural gas powered plants, along with large hydro, renewables, and unspecified sources. In 2010, MEA reported that 78% of their power supply was greenhouse gas-free. Some of this is covered by Renewable Energy Credits (RECs) In the beginning, customers could choose Light Green (27% renewable energy) or Deep Green (100% renewable energy). In 2012, the City of Richmond voted to join MEA, and starting in 2013, MEA began serving the City of Richmond. 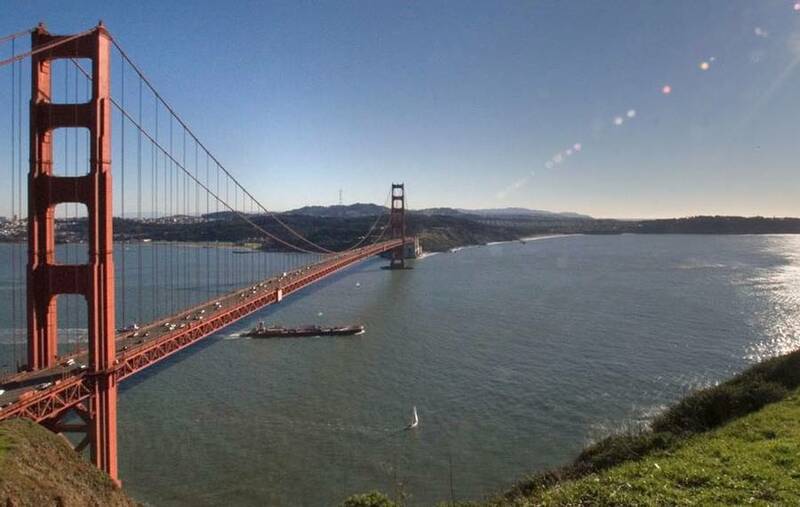 Marin County aims to be powered by 33% renewable electricity sources by 2015 and 100% by 2020. What mix of technologies have you used and/or do you intend to use? 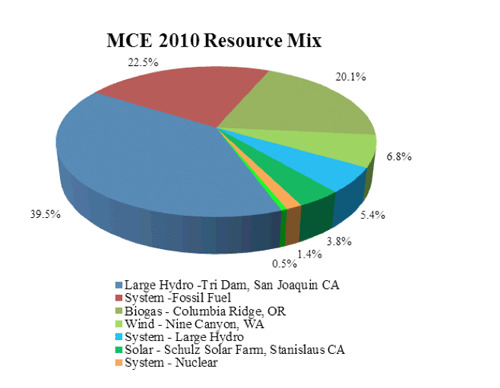 In 2010 MCE’s resource mix was made up of solar, wind, biogas, large hydro, and state system power. A contract is in place with Shell Energy North America (SENA) to provide the electricity through 2014 and the contract specifies the amount of renewable power required, and the definition of renewable power, but does not specify the source. SENA sources the power accordingly. The contract does state that MCE will not purchase unit-specific purchases of coal or nuclear. MCE recently entered into contracts for new solar and biogas facilities to be built in California to help fulfill our energy needs. What have been the greatest obstacles so far? If you have overcome any of them, how did you do it? 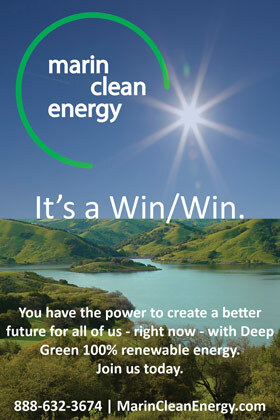 The change we’re creating with Marin Clean Energy has everyone looking this way with enthusiasm and hope. Our forward movement is giving Marin residents and businesses the ability to make a real difference. And, as the first operating Community Choice Aggregation program in California, we’ve experienced firsthand the difficulties and challenges associated with launching and operating a CCA. Some of those challenges are outlined below. AB 117 clearly states that investor owned utilities must cooperate fully with attempts to form a CCA. Despite the clarity of AB 117, PG&E, the investor owned utility in Marin County, has boldly opposed the creation of MCE through numerous actions including organizing untruthful and misleading ant-MCE marketing campaigns to thousands of potential customers. Fortunately, our working relationship with PG&E has greatly improved and new legislation, AB 976, was passed which imposes specific requirements on the relationship between a CCA and an investor-owned utility. What have been the greatest benefits of your project so far? We believe that the greatest benefits to our project so far has been the reduction of greenhouse gas emissions, the development of new renewable technology (we’ve just invested in 33.2 MW of new renewables), and the ability to allow customers to choose where their electricity comes from. What has the process been of financing your project? The Town of Fairfax provided a loan guarantee for the Marin Energy Authority (MEA), the local joint powers authority formed to administer Marin Clean Energy, to River City Bank in the amount of $100,000 to account for initial Marin Clean Energy start-up costs in 2010. The initial River City Bank facilities have been repaid and the guarantee was released. MEA paid the Town of Fairfax $7,368 in exchange for providing the guarantee. The County of Marin provided a loan guarantee for MEA to River City Bank in the amount of $950,000 to account for initial Marin Clean Energy start-up costs in 2010. EA paid the County of Marin $49,288 in 2011 in exchange for providing the guarantee. The County of Marin also provided a loan to the Marin Energy Authority in the amount of $540,000. The loan was repaid in full ($540,000) to the Marin Energy Authority on January 11, 2011. The program is designed to be self-funding through the electric customer rates so there is no use of public funds or taxpayer dollars.